Every generation has the opportunity to walk with God in the fullness of what He has provided. But if we don’t take time to refuel with the anointing of His power, we will lose the fire of the Holy Ghost and choke in the smoke! 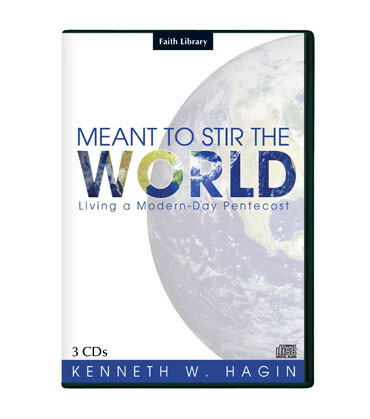 In this dynamic 3-CD series from Winter Bible Seminar 2008, Rev. Hagin challenges us not to live on what God did in the past, but to realize that today is the day of the outpouring and demonstration of His Spirit! When we walk in the fullness of God’s Spirit, we will see His power manifested in our everyday lives. In this dynamic 3-CD series, Rev. Hagin challenges us not to try to live on what God did in the past, but to realize that today is the day of the outpouring and demonstration of His Spirit! When we walk in the fullness of God’s Spirit, we will see His power manifested in our everyday lives.